The location near broadway and rockfeller center. The room has refrigerator. The location of this hotel is great for families - there are several subway lines within a few blocks. We walked to Hell’s Kitchen area for a wide selection of restaurants. We could walk to theaters for shows and walk to Central Park. Also, with our group of travelers we needed 3 beds and this was one of the few hotels that had that option. Our room was on the 11th floor and we had many windows and sunlight. The staff was friendly and working hard to keep the hotel clean and they were renovating. I loved the service, comfort and location. The front desk staff are friendly and helpful. Rms clean, comfortable, staff helpful and cordial. The location. It was near the subway to get around with ease. It was within walking distance of many good attractions. I have stayed here twice before. It's reliably good and the location excellent. 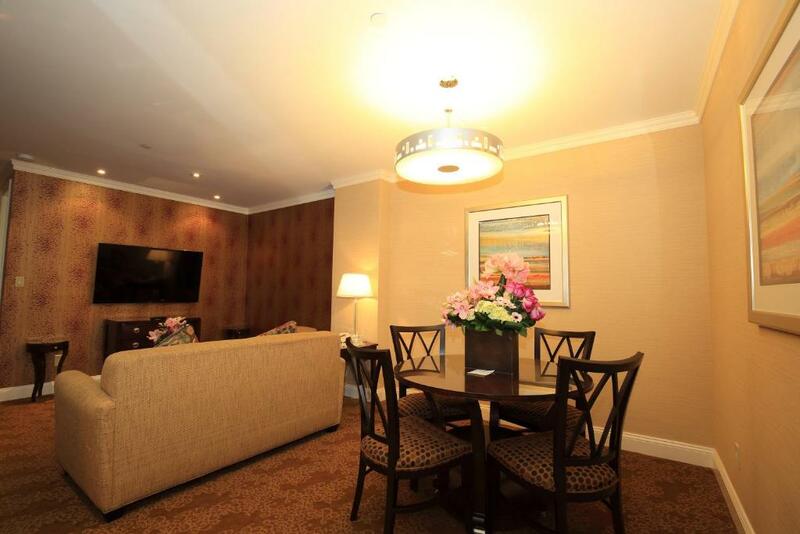 Lock in a great price for Radio City Apartments – rated 8.6 by recent guests! Radio City Apartments This rating is a reflection of how the property compares to the industry standard when it comes to price, facilities and services available. It's based on a self-evaluation by the property. Use this rating to help choose your stay! Located 1,600 feet from Rockefeller Center, this Manhattan hotel offers free WiFi and rooms equipped with a kitchenette and cable TV. The 49th Street underground station is 1 block away. 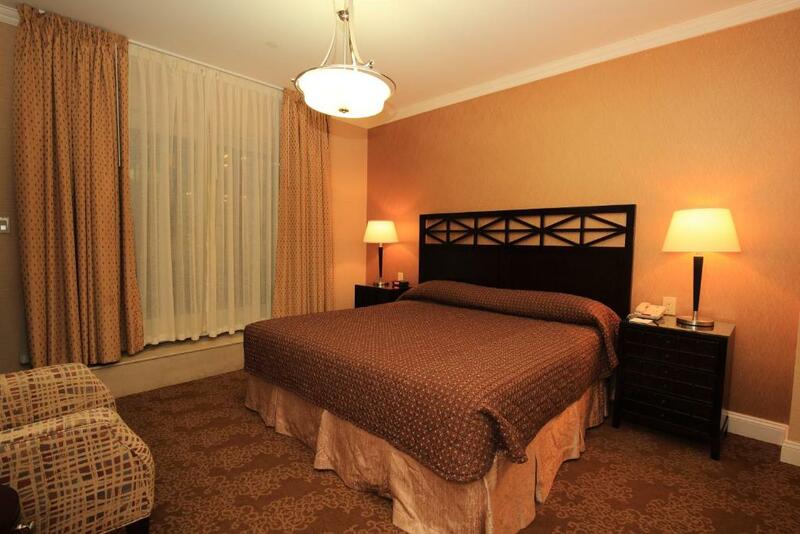 Cozy rooms feature dark wood furnishing and an private bathroom. 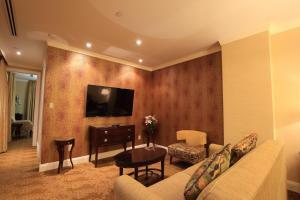 Tea and coffee making facilities are also provided at Manhattan Radio City Apartments. 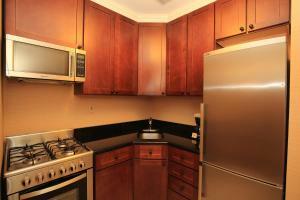 A kitchenette features a hob, microwave, and refrigerator. A dining area is also provided. A business center is available for guests. A 24-hour front desk is also provided. The property offers access to TMPL Gym®, a nearby fitness center. Times Square is 1,050 feet from Radio City Apartments. 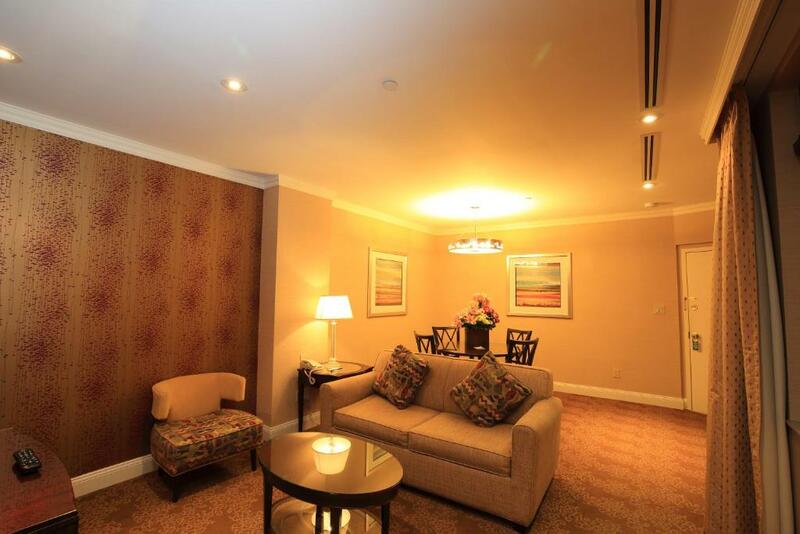 뀐 Located in the real heart of New York, this property has an excellent location score of 9.6! When would you like to stay at Radio City Apartments? This studio features a kitchenette and cable TV. Maximum occupancy for this room is 2 adults and one child under 12 years old. This studio features cable TV, a microwave, and refrigerator. This one-bedroom apartment features a kitchenette, two double beds, and living room with sofa bed. This 2-bedroom apartment has a cable TV, microwave and refrigerator. This apartment has cable TV, air conditioning and microwave. This apartment features cable TV, microwave and air conditioning. We are located in the heart of Manhattan. 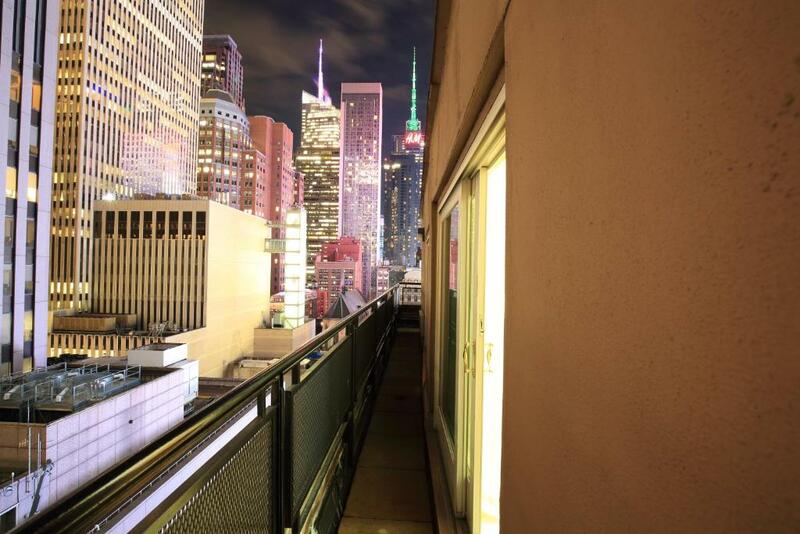 Staying with us makes you feel like a true New Yawka. 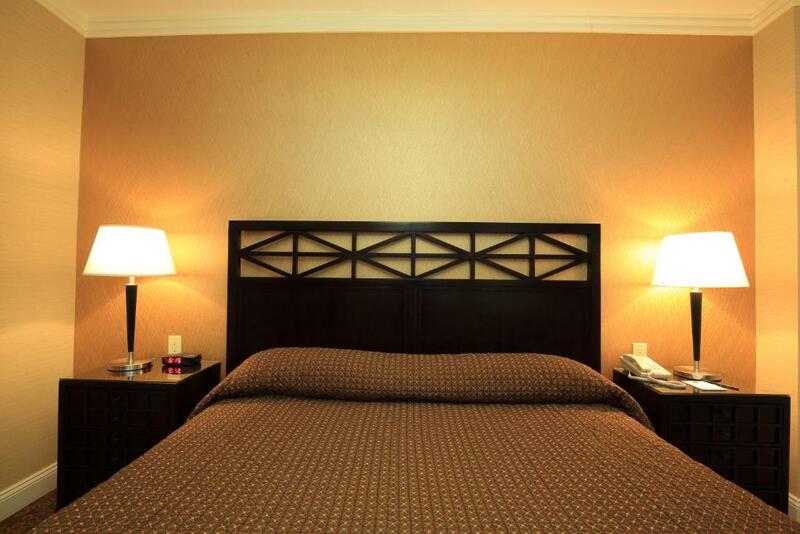 Our apartments will make you feel like you are home. And that is why we like to refer our place to you as, YOUR Home, away from YOUR home!! Most of our rooms have kitchenettes, so we do not offer breakfast but our rooms with a stove allows you the convenience too make your own. There is a coffee maker, microwave and refrigerator. The refrigerator comes in handy since you bring back your leftovers from dining out, rather than leaving it behind. 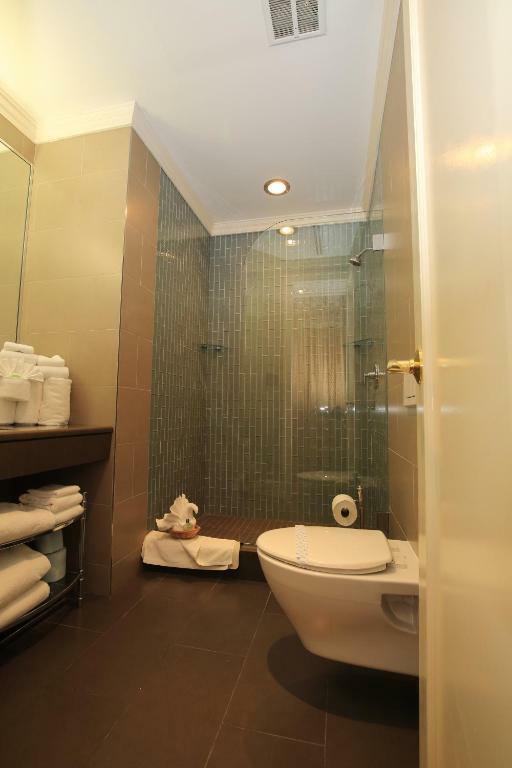 Each apartment has a private bathroom. There is an iron and ironing board in each room. We also supply shampoo/conditioner and a hair dryer so you do not have to bring yours! We are located in the HEART of this great beautiful city. Theaters surround us. Fifth avenue shopping is a short walk away. Access to many subway lines and buses are near too. Times Square is also a short walk away. If you like to walk, you can leisurely walk to Central Park to enjoy the beauty of this magnificent park. House Rules Radio City Apartments takes special requests – add in the next step! A USD250 damage deposit is required 0 days before arrival. This deposit will be fully refunded 0 days after check-out, as long as there isn't any damage to the property. Radio City Apartments accepts these cards and reserves the right to temporarily hold an amount prior to arrival. Smoking of any kinds (including vaping) is not permitted at the property. A smoking fee will apply. At check-in, the property will authorize the guest's credit card for the full amount of the reservation, plus an additional deposit of USD 250 per apartment. The deposit hold will be released at check-out, subject to an inspection of the room conditions. Please note, prepaid cards and gift cards are not accepted by this property. Please note, the maximum occupancy includes children and adults. Please note, only US Dollars, major credit cards and travelers checks are accepted at the property. Different policies and additional supplements may apply when booking 8 or more rooms. Please note that this property has a strict no-party policy. Partying on guest floors or public areas may cause immediate cancelation of the reservation. A damage deposit of USD 250 is required. You should be reimbursed on check-out. The room was a little warm and didn't have a thermostat - had to call front desk for adjustment. The room is a little small but this is NYC. It was also not cheap but, again, this is NYC. The location is excellent - just around the corner from Times Square. There are also a number of take-out places just outside the front door and kitchen facilities (including a table and chairs) in the room to eat at. Ideal location, very central, subway near by. 5 mins to 5th avenue & Times Square. We really enjoyed our stay and will return for sure! room wasnt same as shown online. Cutlery stored in bathroom. Had to wash up in bathroom. Nowhere to eat in room except bed. location. comfy beds, cleanroom, coffee maker. Dark appartement. Television was not working. Poor lightening in one bedroom. Very noisy radiators.